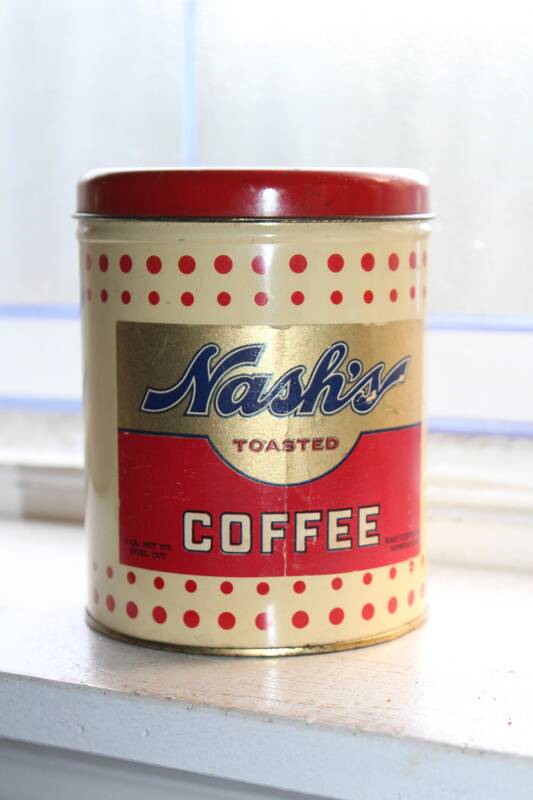 Vintage 1930s Nash Coffee tin featuring a paper label on a tin with bands of red dots on a cream base, with red lid. 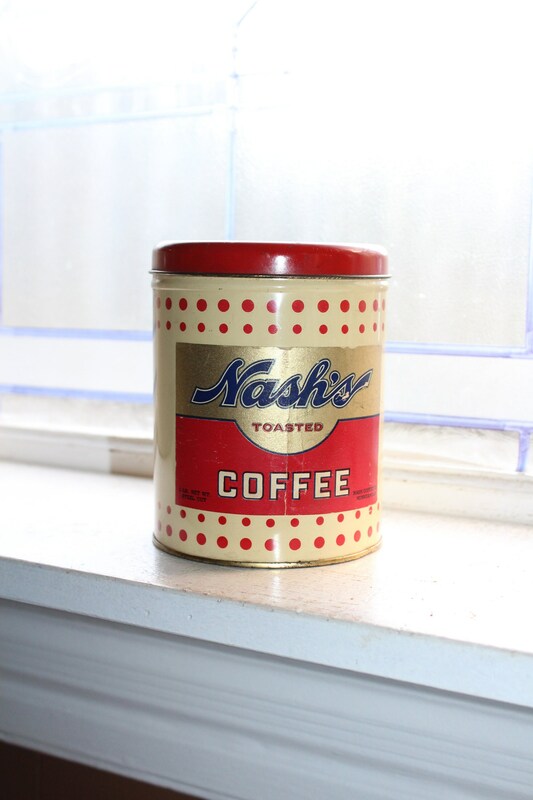 The tin measures 5 3/8" high x 4 1/4" in diameter and looks great. 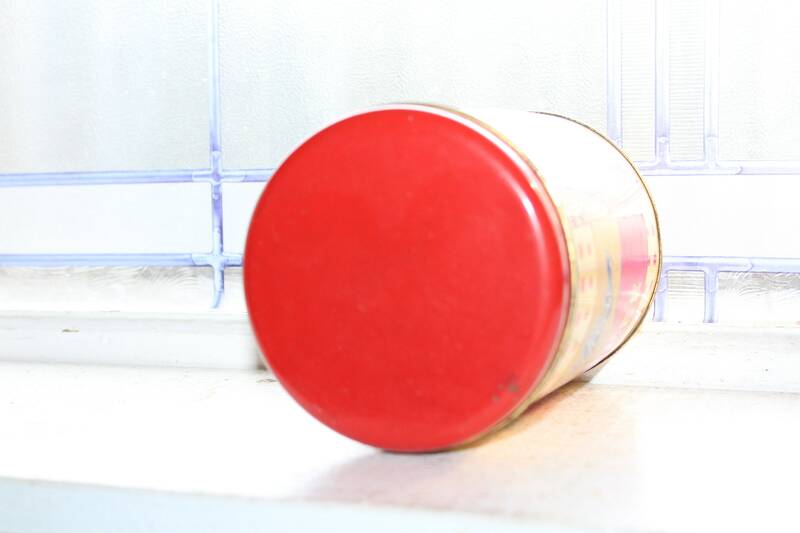 I also have several other red dot tins like this one available in my shop. Enjoy!